Automotive shoppers in Marin County have a plethora of choices for the full-size SUV segment, but a model that stands out from the crowd is the highly-capable 2018 Toyota Sequoia at Novato Toyota. There are so many things to like about the new Sequoia, such as its powerful engine, spacious and comfortable interior, advanced multimedia and safety features, and off-road capabilities. Take the new Sequoia for a test drive today! 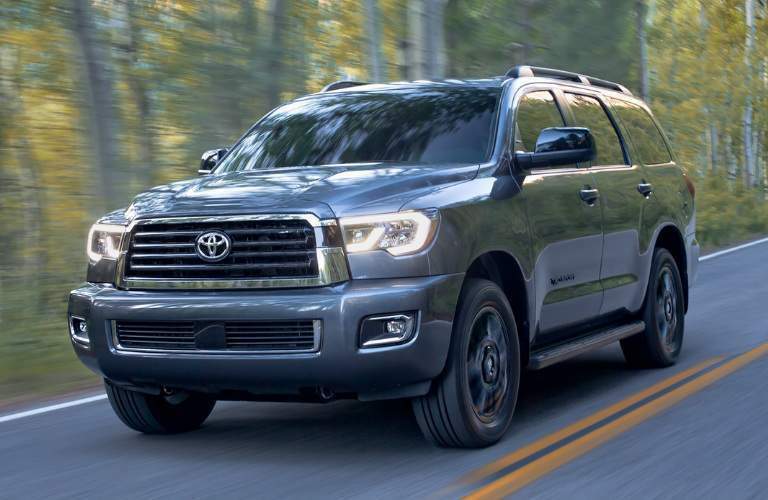 The 2018 Sequoia delivers excellent performance with its robust 5.7-liter i-FORCE V8 engine. Paired with the 6-speed electronically-controlled automatic transmission, it churns out an impressive 381 horsepower and 401 lb-ft of torque. Do you have towing needs? With a maximum towing capacity of 7,400 pounds, you can easily tow a boat, camping trailer, or whatever else you need to haul. Also, towing is aided by a number of towing features, including the standard tow hitch, Trailer Sway Control, and a Tow/Haul mode, which maximizes towing performance by adjusting the shift points. Are you aiming to head off the beaten path? You can do it with confidence with the traction-enhancing Multi-Mode 4WD system. With its comfortable and cavernous interior, the 2018 Sequoia is a great choice for families. It offers seating for up to eight people, with plenty of headroom and legroom for each passenger. 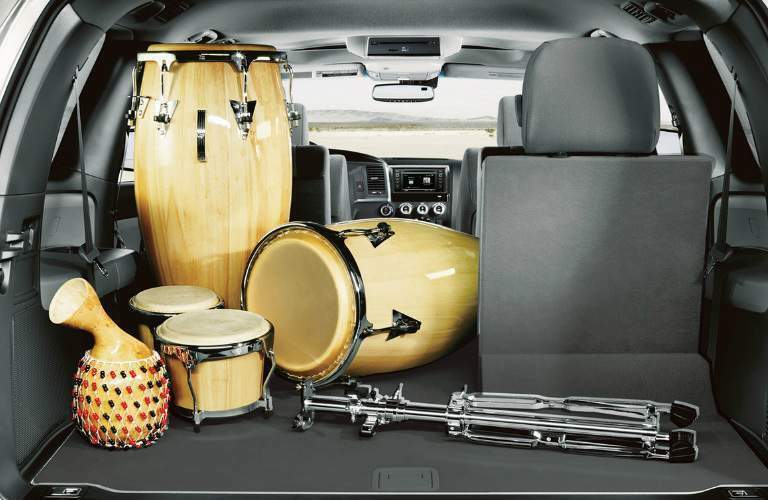 Also, the Sequoia’s 120.1 cu-ft of cargo space and multiple storage bins make it easy to load up for your trips. Despite its spaciousness, the Sequoia is surprisingly nimble on the road, with just a 38.1’ turning diameter. The 2018 Sequoia offers a wealth of advanced technologies, including the Entune Audio Plus with Connected Navigation system, Rear-Seat Blue-ray Disc Player, and SiriusXM All Access Satellite Radio. 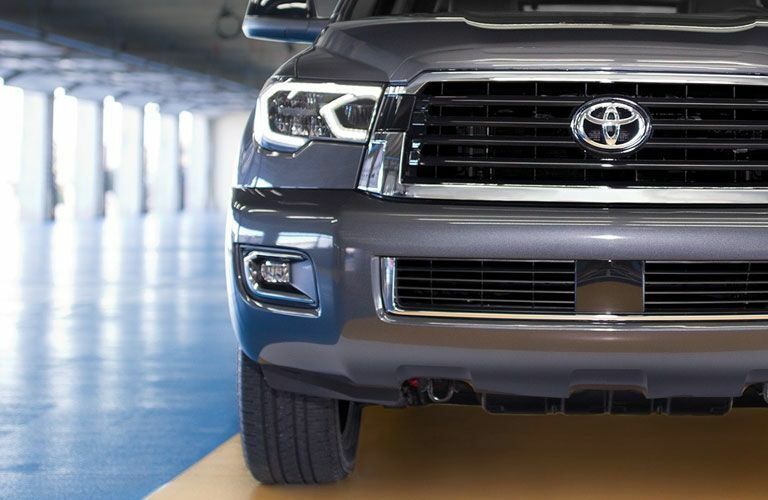 On the safety front, the new Sequoia comes standard with the Toyota Safety Sense P suite of driver assistance technologies, which includes Lane Departure Alert, the Pre-Collision System with Pedestrian Detection, Dynamic Radar Cruise Control, Blind Spot Monitor, and Automatic High Beams. Here at Novato Toyota, we invite Bay Area SUV shoppers to test drive the highly-capable 2018 Toyota Sequoia!